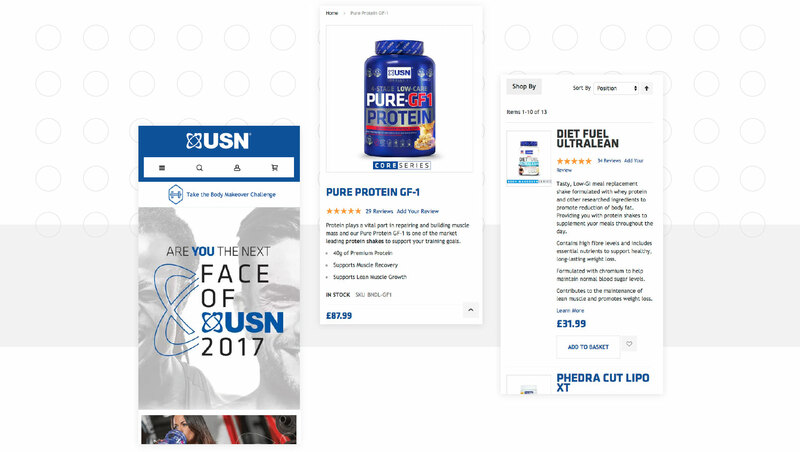 USN are the market leaders for Sports Nutrition in the UK and needed a website that would showcase their strengths. They approached magic42 to perform their site migration from Magento 1 to Magento 2. The migration involved all product and category information, customer order history and accounts, and the full scope of redirection needed to maintain excellent SEO rankings. The multi-site (UK and France) setup features integrations with a leading payment provider, as well as an internal order management system. Built from the ground-up with mobile in mind, USN’s fully responsive design looks great no matter what device you’re on. With large, clear images and a touch-friendly menu, customers can find exactly what they’re looking for with ease. How a customer finds what they’re looking for is one of the key steps to understand in order to increase sales. Clearly providing the various journeys a customer can take within a couple of clicks is essential for a good menu. 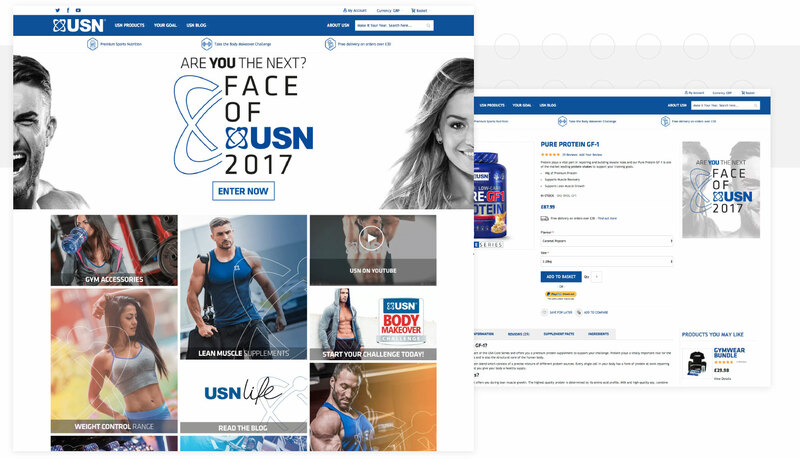 The existing blog for USN also had to be brought up to speed with a full redesign to match the fresh, new look of their Magento 2 venture, and has continued to drive traffic to the main site. USN needed a second dedicated site for their French office, which magic42 was more than happy to deliver. Fully translated and running independent orders and shipping from the main site, this setup really makes the most of Magento’s multi-site functionality.